Thirty Fingers and Thirty Toes: I Won!! I won!! 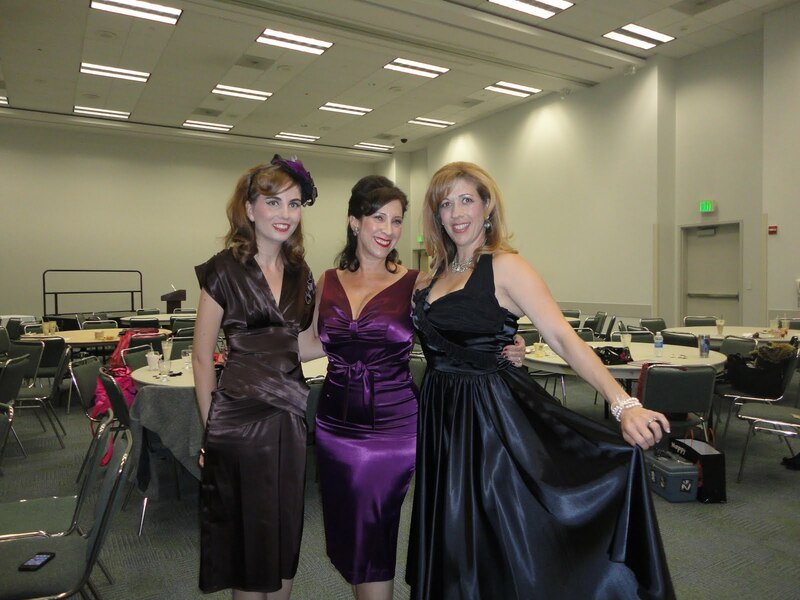 I recently had the chance to be in a vintage/Mad Men style fashion show at the Anaheim Convention Center. What a blast! 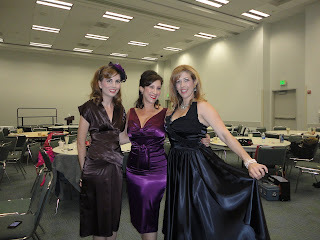 As one of three bloggers in the OC Blogger Bash fashion show, I had a fitting with Queen of Heartz designer, Letty Tennant, and a vintage hair/make up session for the show. 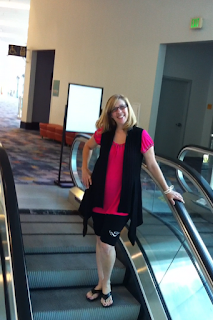 My dear friend Gina came along for the ride and dubbed herself my ‘personal paparazzi’. 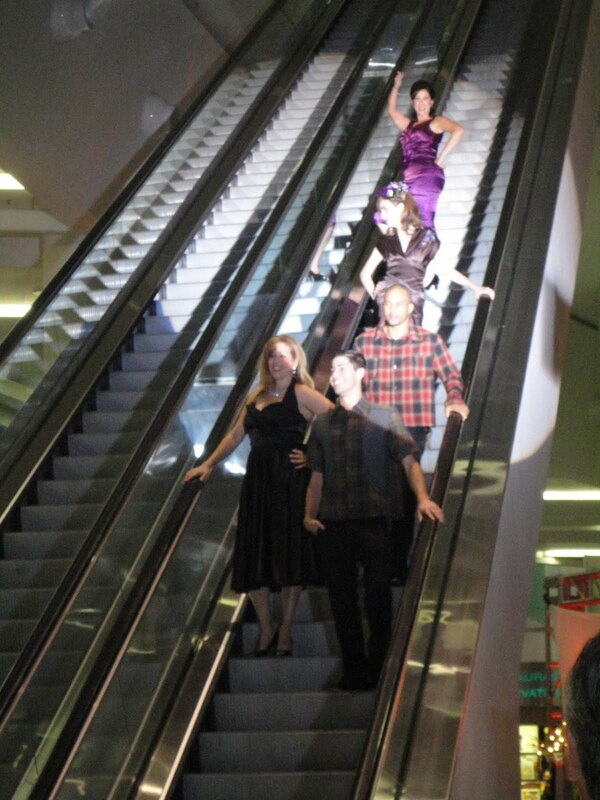 She snapped picture after picture of the hired models, myself and the other bloggers, as we practiced riding the convention center's long escalator into the lobby where the party was held. I met the fabulous and wonderful Romy Schorr of Romy Raves, and Heather Petrey of LAFashionSnob, and the three of us had so much fun. Was I nervous? No way. I have three-year old triplets. Nothing scares me. Ok, only partially true. Falling off my three-inch heels? That scares me. Definitely not the trip I wanted. I have a not-so-secret love affair with drugstore flip-flops. I never wear heels let alone socks or stockings. And although my smile may have belied the perch off of which I was afraid to topple, I managed to stay vertical. My real concern was holding my stomach in after I enjoyed a delicious peanut butter and jelly shake whipped up at the party’s ‘classic car hop.’ WOW was that good! But bad move to have it before the fashion show. Show time! Romy, accompanied by two of the ‘Daily Hot Guys’ on her descent into stardom, blew kisses to the crowd. Heather, sporting one of her custom made vintage hats, looked every inch a true model. Then it was my turn. I couldn’t see anything with the spotlight in my eyes, so I smiled, hoping my stomach didn’t stick out more than my kids have already stretched it, and did a little twirl on the floor. 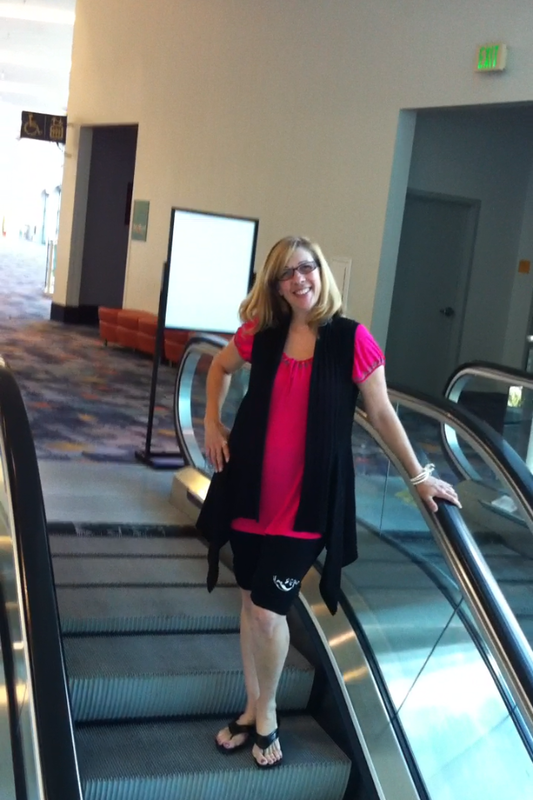 Whew, gravity didn’t have its way with me, and back up the escalator we went. 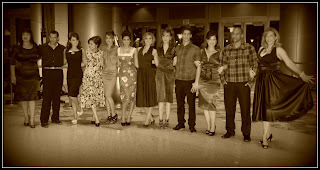 Camera flashes blinked, we posed, turned, posed some more, and then, it was over. It was oh so amazing and fun! I wanted to go again. The party was in progress as we headed down to join the fun after the show, where the stunning Kim Tracy Prince won a best dressed award, the MomsLA founders, Yvonne, Elise and Sarah, looked gorgeous, along with Caryn, Adrienne, Alexandra and many more stylish ladies! 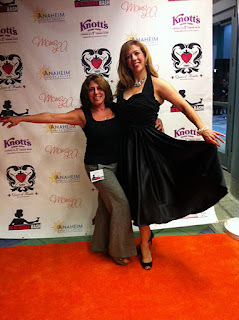 The Anaheim CVB and MomsLA outdid themselves with the giveaways and atmosphere. Everyone got tickets to Knott’s and I won tickets to Disneyland and a bowling package. Seems our next OC trip will involve strollers, wipes, juice boxes and chasing down Buzz Lightyear and Mickey Mouse. I don’t get out to many events, but this step back in time was very enjoyable. Orange County knows how to put on a good time! Plus, I got to spend a day with a friend I rarely see. Though the party was 'in the past', that was the real present.